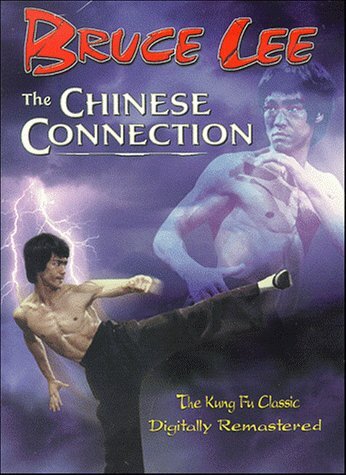 The Big Boss made Bruce Lee known, but Chinese Connection is the film that truly made the Chinese audience love him and worship him. Rightfully so, for this is Lee's best movie. He plays Chen, the top disciple of a revered kung fu master, recently killed under mysterious circumstances. Chen's spirit burns with a sense of duty, a desire for vengeance and an indomitable will to uphold the pride and rights of his people in a time where they are treated as second class citizens in their own land. Lee truly showcases his talent as an actor by bringing his character to life with such a wide range of emotion and depth. It totally overshadows his role in Enter the Dragon, where his character is little more than a subdued killer who gets to spout a few lines of philosophy. As for the fight sequences, Lee's characteristic fury is never as intense as it is here. This is also the first time Lee breaks out his infamous nunchakus. The storyline is somewhat simplistic (as is characteristic with all films of the genre) but it is still extremely heartfelt and symbolic if you understand the feelings and sentiments of Chinese people at the time. But even if you don't, the raw power of Bruce's performance along with the gritty, unorthodox fighting should win over any fan of the genre. In character and creativity, the only other Lee film that could match this one is Return of the Dragon. These two films represent Lee's best and overshadow the overrated Enter the Dragon.